Brentwood Planning and Zoning approved two new businesses with plans to open in previously vacant buildings at its meeting on Wednesday. 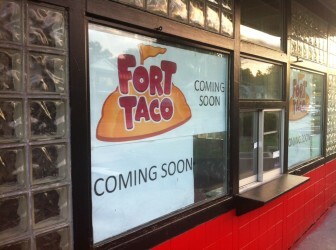 As previously reported here, Fort Taco plans to open at 8106 Manchester Road, a previous Rally’s location. Partner in the business, Gabe Patino, told the commission they plan to start simple, with tacos and enchiladas, and add tostadas and tamales in the future. It will be only a drive-through. Patino said the business is not a franchise. They’re using the previous site plan, which includes landscaping. Patino said they plan to add what plantings they need to. The commission also OK’d House of Nour at 2928 Brentwood Boulevard. 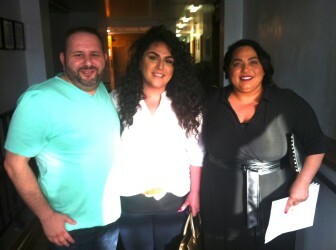 Eli Hleiss, Annie Bathani and Jinane Bathani presented House of Nour to Brentwood Planning and Zoning. Eli Hleiss and Jinane Bathani presented their business plan, which includes eye lash extension, makeup application, European facials, body waxing and massages. The commission was concerned that the lot contains only eight parking spaces, but Hleiss said their business is by appointment only so eight is enough. Hleiss said they are from Lebanon, and nour in Lebanese means light. They have lived in Rock Hill for 17 years. The two businesses now need approval from the Board of Aldermen, which meets on July 21.